PARKING: From route 202/9 in Hillsborough turn onto 2nd NH Turnpike and follow it for 0.40 miles. Just after the stone arch bridge turn right onto Barden Hill road and follow it 1.1 miles to Inchscape circle. Park at the cul-de-sac between houses. From the cul-de-sac on Inchscape circle enter the woods and ascend in a southwesterly direction 0.45 miles to the summit. The woods were relatively open (in November) with a easy to moderate incline. The summit isn't marked however did contain a small stone fire ring. 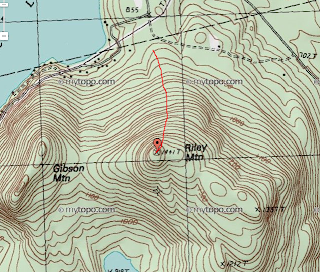 Riley mountain is less than a mile from my previous home and my first bushwhack. 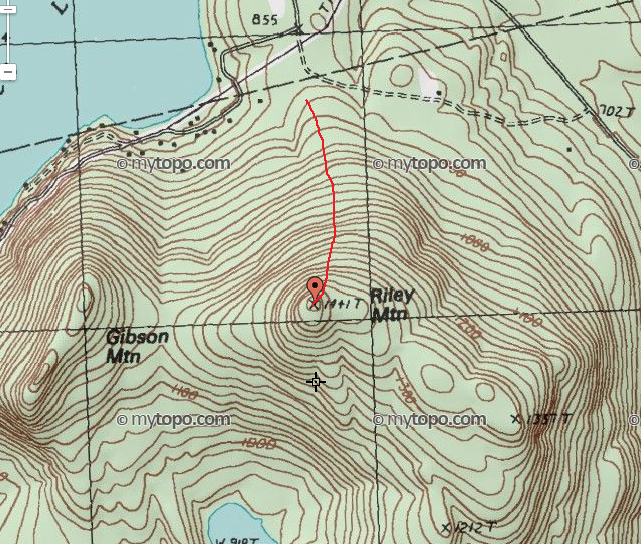 It's 1443 foot elevation isn't substantial for NH standards but the 550 foot prominence makes it the 17th highest mountain in Hillsborough county and the 465th highest in New Hampshire. The summit was marked with a man made fire ring and I found no other markings.